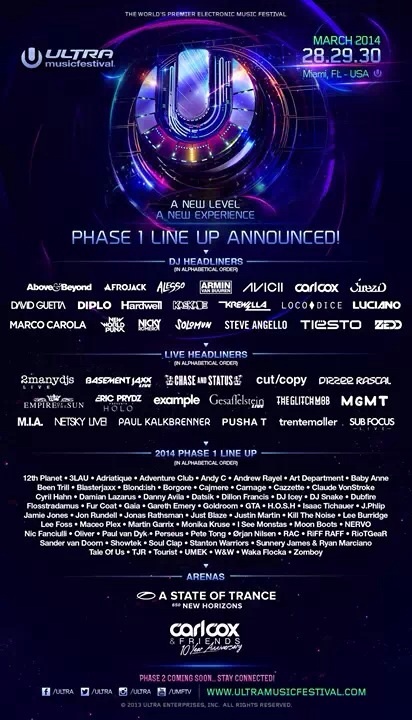 Ultra Music Festival released Phase 1 of their 2014 line up and it’s amazing! The 3 day festival will take place the last weekend of March 2014 at Bayfront Park in Downtown Miami, FL, USA. UMF is one of the premier electronic music festivals in the United States and just a short drive from Miami’s popular hot spot, South Beach! Stay tuned for Phase 2 in the coming weeks.